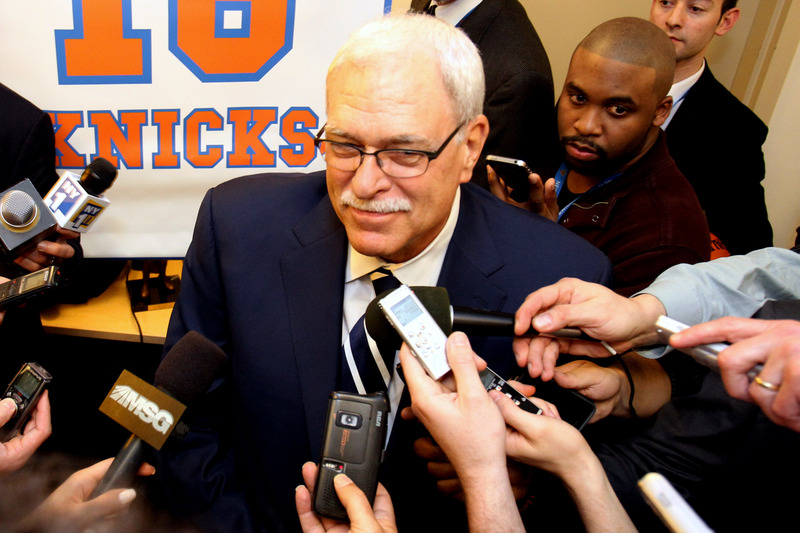 Despite the 2014-2015 Knicks holding a franchise-worst 14-61 record, team president Phil Jackson is stressing a “plan” is in place to rebuild the team next year. In a video sent to season ticket-holders, Jackson highlighted the team’s expected high draft pick and cap space as main reasons to remain hopeful. While I know this has been a challenging season for our team on the court, I can also tell you that everyone in the organization is working tirelessly to get our Knicks back to a place where we are once again competing at the highest level,” Jackson said in a video message obtained by ESPN New York that doubled as a pitch to season ticket holders to renew for the 2015-16 season. We have made key roster moves to free up significant cap space that will provide us greater flexibility to acquire talent in this summer’s free agency,” Jackson said. “And for the first time in many years, we expect to have a top pick in the NBA Draft this June. These are key steps to building a roster of players that have both the talent and character to win in New York and who, alongside Carmelo Anthony, will become a team that can become a consistent winner. We have a clear plan and expect our efforts to take really take shape as we enter the 2015 draft and free agency in the months ahead,” Jackson said in the video. “I ask that you remain optimistic and hope you will join us on our continued journey as we build a team that once again reflects the spirit of being a New York Knick. There can’t be any possible way next year’s team is worse than what we’ve seen the last few months. Outside of Melo, the entire “Knickstape” core that won 54 games two years ago is gone, ensuring we’ll have a completely fresh start and hopefully a new identity. It’s been a horrific year, but a necessary one.